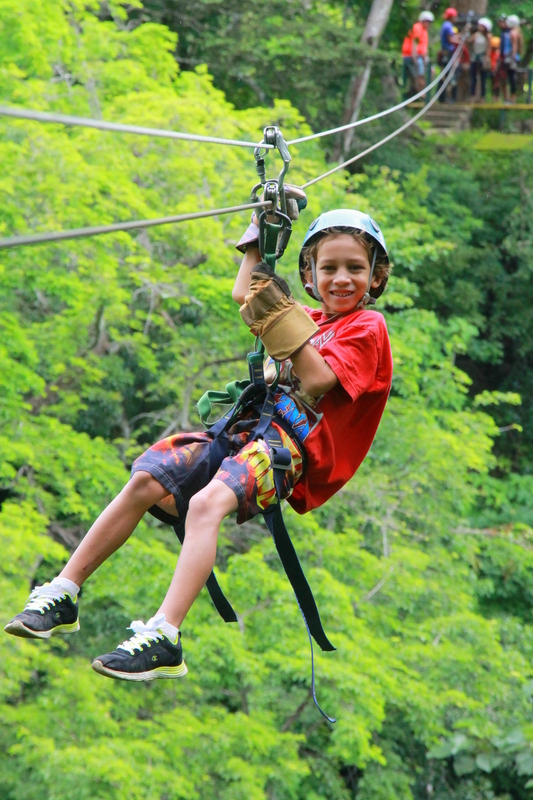 Whether you are staying in the Flamingo or Coco area we will take you on a really fun zip-lining adventure within 30min of driving time where you will be gliding through and over the treetops along 10 different cables and chances of spotting wildlife along the way! *This is a great short trip to experience this quintessential activity! 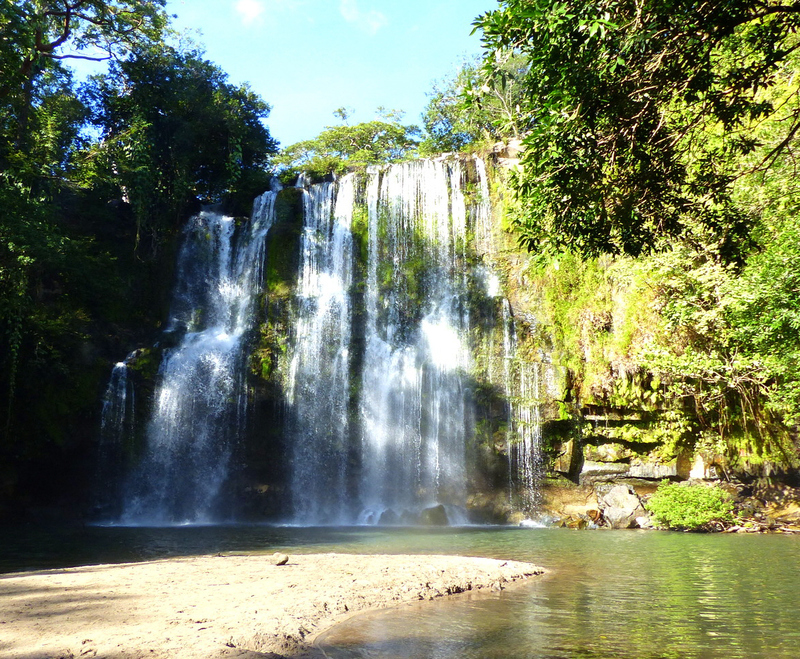 This is a great family trip where we will take you to the beautiful waterfall of “Llanos de Cortes” to spend a whole morning of swimming and playing under its amazing & pristine cascades. The lagoon under the waterfall is shallow, calm, sand-bottomed and perfect for kids! From here we will drive to Liberia where we will have lunch and explore the cozy capital of the traditional Guanacaste province! You will have opportunities to do some souvenir shopping as well! 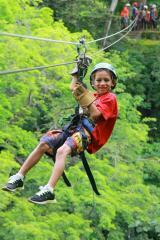 *Easy and really enjoyable trip for everyone and especially for families with younger kids! The province of Guanacaste around our beaches (Flamingo, Coco and Papagayo) is the heart of Costa Rica’s cultural heritage with a strong influence of the ancient Chorotega Culture. We will visit the town of “Guaitil” famous for the pottery artwork that is handcrafted by the modern Chorotega families. While we can obtain some of their artwork we will also learn about the process of their beautiful handcraft and the all-natural materials that are used! A cultural trip of Costa Rica wouldn’t be complete without visiting a Coffee Plantation. For many years Coffee has been the number one export from Costa Rica and it is still one of the best worldwide! 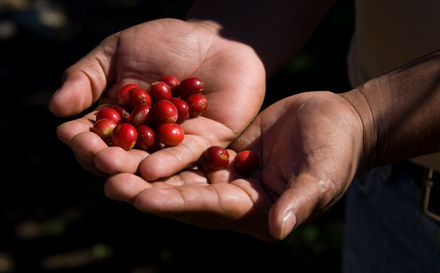 Learn all about our coffee and why coffee from Costa Rica is especially valuable and flavorful! You will visit a coffee processing plant where a local guide will walk us through the whole process from planting a seed to roasting the dried coffee beans and tasting the final product first hand! Here you can buy your bags of coffee right from the producers! *A journey into the Costa Rican traditions and culture that will enrich your experience of our beautiful country!